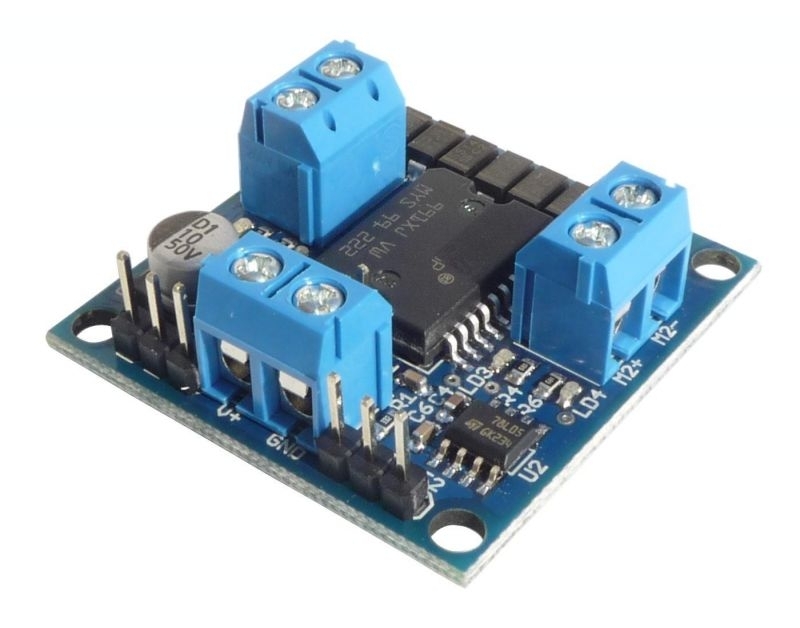 The DC Dual Motor Driver 30V 4A V2 allows to indipendently drive two DC motors, controlling both velocity and direction. It is based on the famous integrated circuit L298, producted by STMicroelectronics; the L298 is an integrated monolithic circuit in a PowerSO20 package. It is a high voltage, high current dual fullbridge driver designed to accept standard TTL logic levels and drive inductive loads such as relays,solenoids, DC and stepping motors. The minimum supply voltage allowed is 7V, so you can use also two-cell LiPo batteries (7.4V)that grant small dimensions and low weight characteristics. The maximum supply voltage supported by this board is 30V. To enable or disable each channel independently of the input signals there are provided two enable inputs (E1, E2) positioned on the front of the board; motor velocity regulation is obtained applying to these pins a PWM signal with a 20KHz max. frequency. 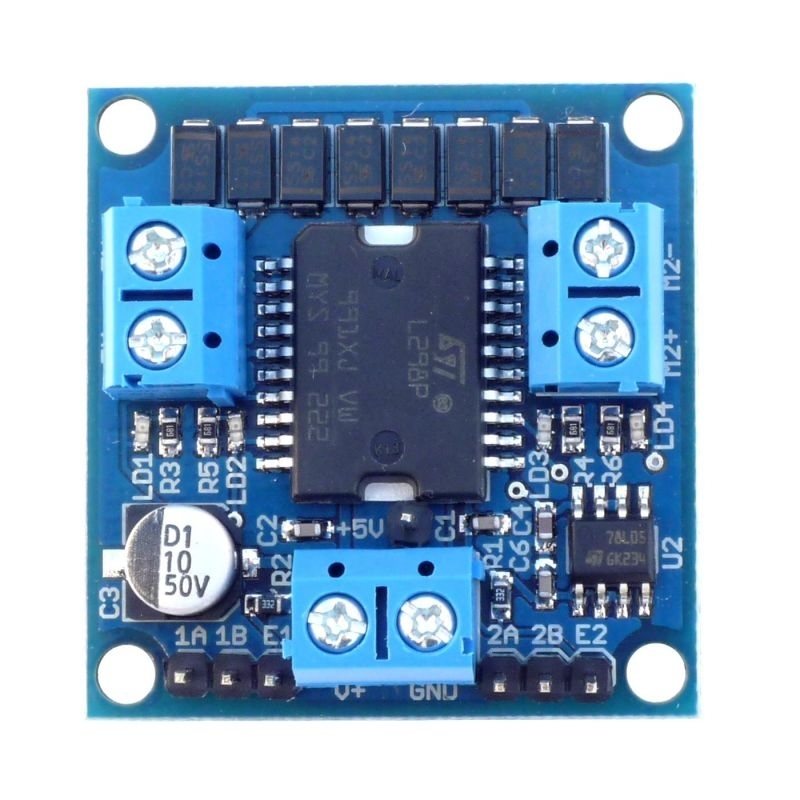 This board also provides direction LED indicators for both channels; this is very usefull during setup stage to verify the firmware behaviour (also without appling a real motor to the output).